Governor Kashim Shettima of Borno said that President Muhammadu Buhari’s appeal to the World Bank was to address economic rebuilding and humanitarian crisis in the North-East. “We have series of follow-ups and the media has been covering all the steps including my visit to the World Bank in Abuja a few months ago. 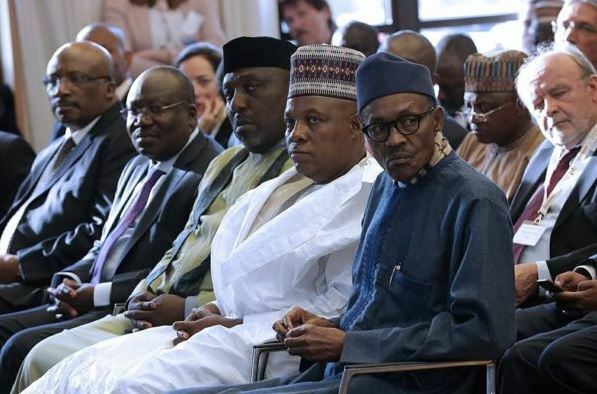 Shettima said that he and four other governors attended a meeting in Washington DC in July 2015, when the president called on the bank to support the rebuilding of the northeast region. “Sequel to the request, the World Bank in collaboration with the European Union (EU) and the office of the Vice President, had in 2016 organized a Recovery and Peace Building Assessment (RPBA) report on the six states affected by the Boko Haram attack in North-East. “It was verifiably discovered that the Boko Haram insurgency destroyed public and private infrastructure worth 9 billion U.S. dollars in the region. In Borno State, the destruction alone accounted for 6 billion U.S. dollars. “The meeting between President Buhari and the bank in Washington DC which took place in July 2015, few weeks after the President’s swearing-in, was attended by their Excellencies, Governors Adams Oshiomhole (former governor of Edo) from the South-South and Rochas Okorocha from the South-East.